Even when working off a plot device that doesn’t test the limits of originality, a clever script and dedication from creatives can transform the familiar to something unexpected. This is the case with A Quiet Place, an impossibly eerie chiller that presents civilisation as a fallen project, and those who have survived must exist in a plane of silence. There’s very little in terms of exposition. Actor/director John Krasinski’s script, off a spec draft from Bryan Woods and Scott Beck, bypasses any explanation as to what has caused humanity’s extinction. But we honestly don’t care as it’s evident that making any form of noise is signing your own death sentence. A pre-credit sequence informs of the direness of the situation for the Abbott family (Krasinski and real-life wife Emily Blunt, with Noah Jupe, Millicent Simmonds and Cade Woodward as their children). We meet them as they’re raiding an abandoned supermarket for supplies. They communicate via sign language, don’t wear shoes and the slightest noise attracts creatures that mercilessly hunt their prey through their intricate sense of sound. It’s day 472 for the Abbotts when A Quiet Place kicks into an intense high gear, though not before Krasinski lays the foundation for the family’s somewhat-peaceful existence. We bask in the alluring love of Krasinski and Blunt as they tenderly dance to music through a pair of shared headphones. It seems so beautiful but we know it won’t last, and a heavily pregnant Blunt only adds a sense of palpable tension as we can only assume her due date is near. I won’t spoil the films’ key moments. Suffice to say the sound design and haunting musical score (courtesy of Marco Beltrami) ultimately earn their own credit as the true star of this hugely effective production. None of the performances suffer from the lack of spoken dialogue, with the natural chemistry of Krasinski and Blunt shining through. Young Simmonds (actually deaf) is particularly impressive as the film’s most complex character, soaring above the limitations of her disability. 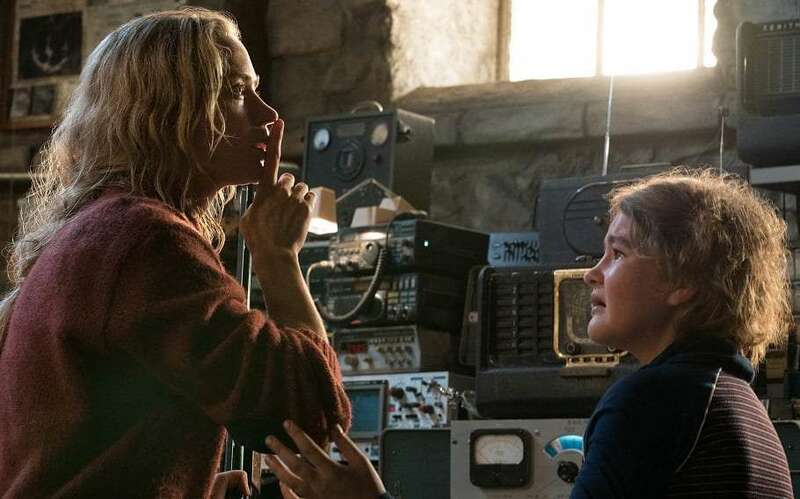 Just as much a tale of family resilience as it is a survivalist horror film, A Quiet Place is masterful genre filmmaking. It may be too early to consider it a modern-day classic, but Krasinski’s effort is striking and horror fans will be thrilled to visiting his created place.